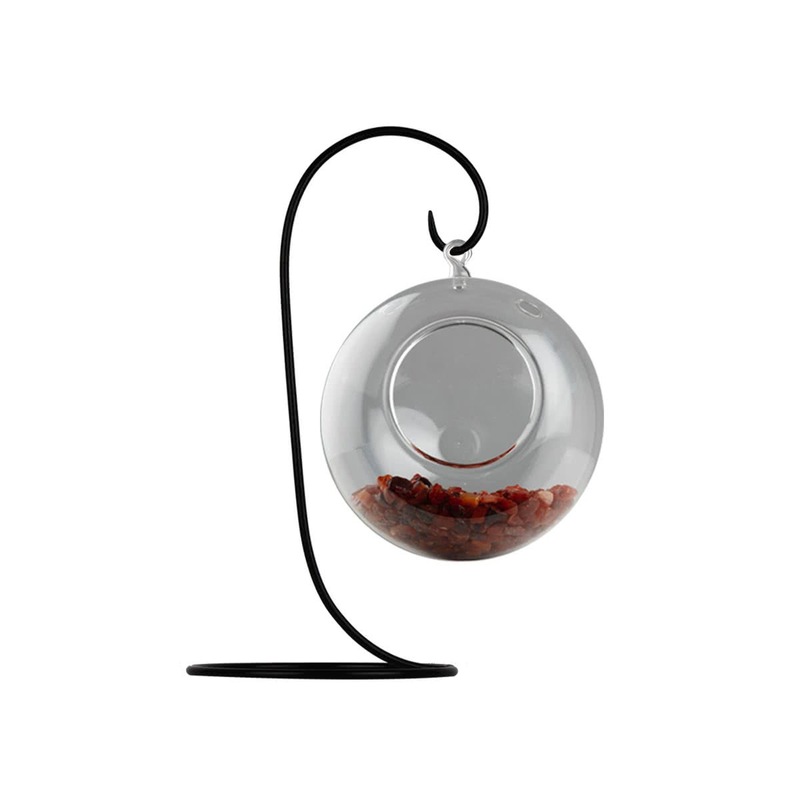 Glass Planter Round Hanging Big (With Hanging Stand Only) - Let your plants suspend in complete style in this Glass Planter Capsule big (With Hanging Stand Only). Ideal for air plants, it will look visually enticing when placed indoors. You can now create your hanging garden with this delicate beauty. Side holes for easy planting and watering.